Shaykh Habib Umar Ibn Hamid al-Jeelani was born in the valley Daw’an in the village of al-Khuraybah (in Hadramawt, Yemen), known for its knowledge and scholars. He grew up there under the supervision of his righteous parents; his father was one of the most knowledgeable people of the valley, and was unique and unparalleled in his knowledge and character, such that if one was to see him or hear about him, it is as though he is hearing about one of the pious predecessors. He dedicated all his time to teaching, worship and rectifying the states of people, and he was not known for other than that. As for his mother, she was a righteous worshipper from a family of knowledge and piety. He grew up with the love and passion of knowledge, so he remained in the company of his father, who would give him special attention as he saw that his son was very intelligent. He studied many books of different sciences with his father, such as Fiqh, Nahw, Hadith, Inheritance, Tafseer, Seerah and Self-purification. Furthermore, he grew up with discipline, attachment to the masjid and seclusion therein and constant reading of books. From the fruits of his righteous upbringing was his appointment as a teacher at Madrasah al-Khuraybah, where he was regarded as the most excellent teacher, such that under his supervision, the Madrasah significantly progressed and the number of students increased by manifold. When his father traveled for Hajj, he left behind his son in his place to teach whilst he was only 17 years old at the time. It was Allah’s decree that he had to leave Hadramawt for Makkah al-Mukarramah as a result of the harshness of the communist regime. He settled in Makkah al-Mukarramah and sought knowledge from its scholars, such as Sayyid Alawi al-Maliki, Shaykh Abdullah al-Lahji, Shaykh Hasan Mashat and others. Eventually, their students succeeded them in teaching in Makkah al-Mukarramah, Sayyid Umar (may Allah preserve him) was a worthy successor of righteous predecessors. He began teaching in Makkah al-Mukarramah initially in the presence of a very small number of students. Then Allah ordained acceptance for him due to his knowledge and the noble character he displayed to young and old. People flocked in great numbers to his lessons of Fiqh and Hadith, such that his lessons became one of the most frequently attended gatherings of knowledge in the whole of Makkah al-Mukarramah, (where he continues to teach 20 years on), until he earned the title “The Shafi’i Mufti of Makkah al-Mukarramah”, which is given by the scholars of Makkah to one who masters the Shafi’i Madh’hab and is capable of issuing verdicts according that Madh’hab. 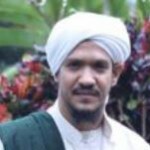 The countries Habib Umar Al’Jilani has visited for the purpose of calling to Allah are; Indonesia, Malaysia, Singapore, The United Arab Emirates, Bahrain, Algeria, Nigeria, Germany, Austria, Kenya, India, Siri Lanka, Turkey. We look forward to receiving Al’Habib Umar Jilani. May this visit be a cause of rectification and guidance for the people of the regions and the world. faith in thought and action. I ask Allah to place blessings in the Rawha Academy which is a place of concern for the future and a hope for our nation. And verily in these academy’s is a lifeboat, which saves us from the waves of tribulations. May Allah aid you and make firm your footsteps.